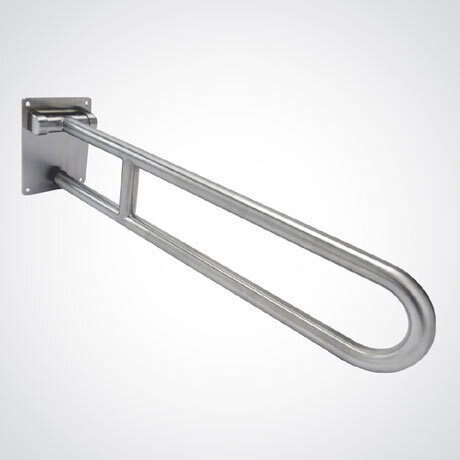 A high strength hinged grab rail in a satin stainless steel finish. Provides additional assistance when using the toilet. The double bar design provides additional strength and stability and folds away for neat storage when not in use.